Italian extrusion machinery supplier Omipa is celebrating its 50th anniversary this year. At CHINAPLAS 2013, the company will focus on the following topics.Regarding the automotive industry, Omipa provides complete co-extrusion lines for co-extrusion sheets in ABS, PC and other thermoplastic materials. 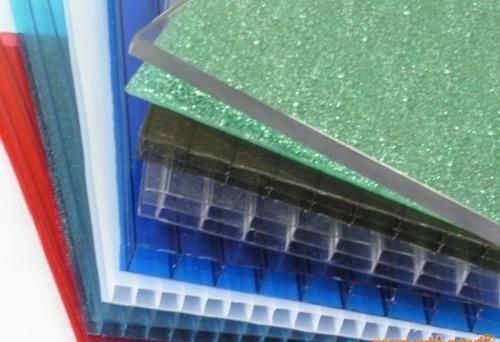 These materials have been used for years as body parts for small and large vehicles such as wheel arch trim, fender flares, arm rests, helmets, seat backs, battery trays and bus racks. Omipa offers a large range of lines for hollow profiles in polycarbonate (PC) with different tailor-made profile geometries, useful for big covering and infrastructures such as stadiums, shopping centers, railway stations covering, logistic in general, etc. In addition, profiles are widely utilized for greenhouses production in the agricultural field. In order to produce covering with effective insulation, Omipa provides lines for the production of corrugate sheets in PC with numerous design shapes, such as Greca, Sinus, IBR, as well as several industrial profiles currently made in metal or Ethernit. The PC sheets, with respect to traditional materials, offers better insulation performance, are lighter and eco-sustainable. Regarding the packaging field, Omipa supplies a large range of lines for hollow profiles in PP for packaging production, for transport and export of agricultural products, mail transport, as well as heavy packaging in automotive and manufacturing sectors, packaging for hospital and sanitary applications.